Since 2012, photographer Becky Field has documented the lives of New Hampshire’s foreign-born residents. 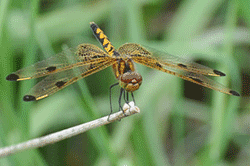 She published a book of those photographs through Peter E. Randall Publisher, Portsmouth, NH (2015). The photographs raise awareness about the strength and vitality of ethnic, cultural and religious diversity in New Hampshire, while also honoring and celebrating the families. It illustrates the contributions of New Hampshire’s immigrants and refugees, and educates the general public about the paths to resettlement. The book is 9×10″, hardcover with dust jacket, 128 pages, and 133 4-color photos interspersed with short quotes from New Hampshire immigrants about their experiences. The Introduction is written by Maggie Hassan, former Governor of New Hampshire, and the Foreword by John Isaac, world-renowned photographer and former Chief of the United Nations Photo Unit. 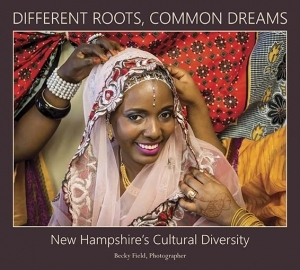 The book showcases Becky’s photographs, but also includes “Journey Stories” about the refugee experience written by New Hampshire residents from the six countries. The stories tell of the challenges and opportunities of resettlement in the Granite State. This is the first time that the lives of New Hampshire immigrants and refugees have been so extensively documented with photographs, adding to historic accounts of immigration to New Hampshire. Becky has photographed children and adults, work and play, weddings and funerals, colorful ceremonies, and families at home. One of her photos, a young girl in Concord whose family came from Somalia, won an award in a professional photography magazine. Becky has received strong support and cooperation from immigrant families and organizations. Becky has had numerous photography exhibits and given many talks about the project and immigrant issues in New Hampshire. She has studied photography at Maine Media Workshops, Photographic Resource Center and Center for Photography at Woodstock. Becky holds a Certificate in Photography from the New Hampshire Institute of Art. 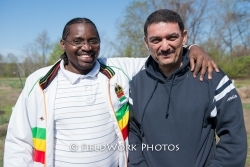 Click here to visit the website on Becky Field's photo project on cultural, ethnic, and religious diveristy in New Hampshire.